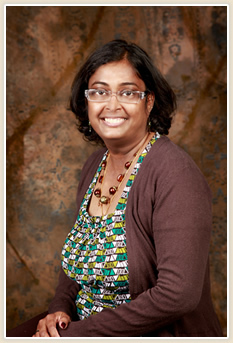 Dr. Thunga received her Doctor of Dental Surgery degree from New York University (NYU) in 2003. Prior to her studies at New York University, Dr. Thunga completed her Bachelor of Dental Surgery and Internship from India. She has been practicing in the Cincinnati area since 2003 providing quality family, restorative and cosmetic dental care. Dr. Thunga is a proud member of the Northeast Cincinnati Chamber of Commerce. Dr. Thunga actively seeks out the newest technology, best materials and latest techniques available in the industry today and incorporates them into her practice. Her emphasis on patient comfort, as well as staying up to date with the latest advancements in dentistry through Continuing Education programs, enable her to provide patients with the best quality of care available in the field. Dr. Thunga has a wide range of experience in different areas of dentistry, from cosmetic and restorative dentistry to surgical treatments and root canal treatments. Dr. Thunga, her husband Mitra and her 2 wonderful kids, Sidhu and Adhu, live in the wonderful community of Mason.